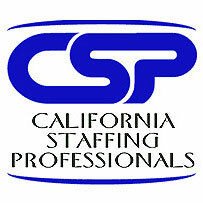 We are proud to announce on July 1st, 2015 Joe Cummings at Royal Staffing is the new President of CSP (California Staffing Professional). His term will continue until June 30, 2017. The California Staffing Professionals Association – CSP is a membership association providing support services to the recruiting & staffing industry in education, networking & legislative advocacy. Our CSP members, who provide employment opportunities throughout California and nationally, serve the needs of both clients and employees by recruiting and matching the needs of clients with the skills of employees.